This is a nice Pegasus kit, easy to assemble but, as usual, few interior details. The markings are from Carpena, except for the roundels and rudder markings where I used the kit ones. With the subject I select, I had to modify the wingtips (rounded). 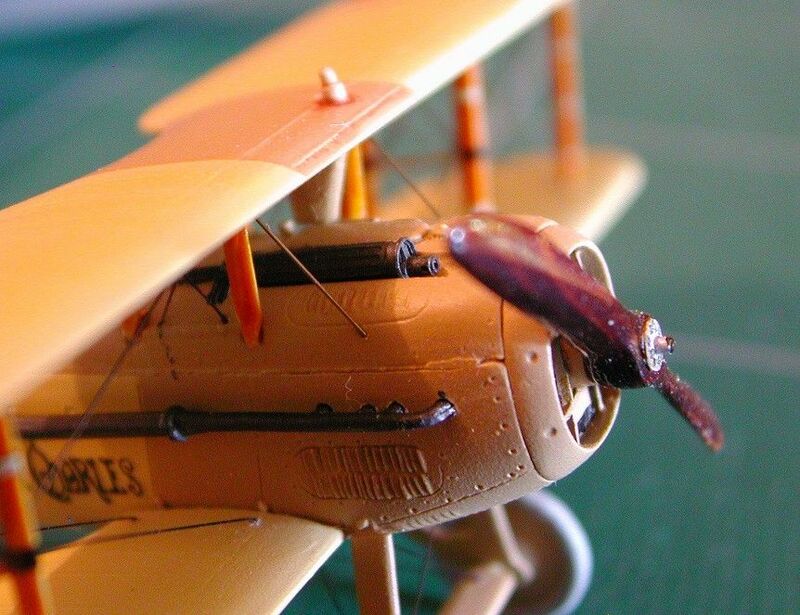 I added a Part MG and a wooden propeller. The control horn are from Part. 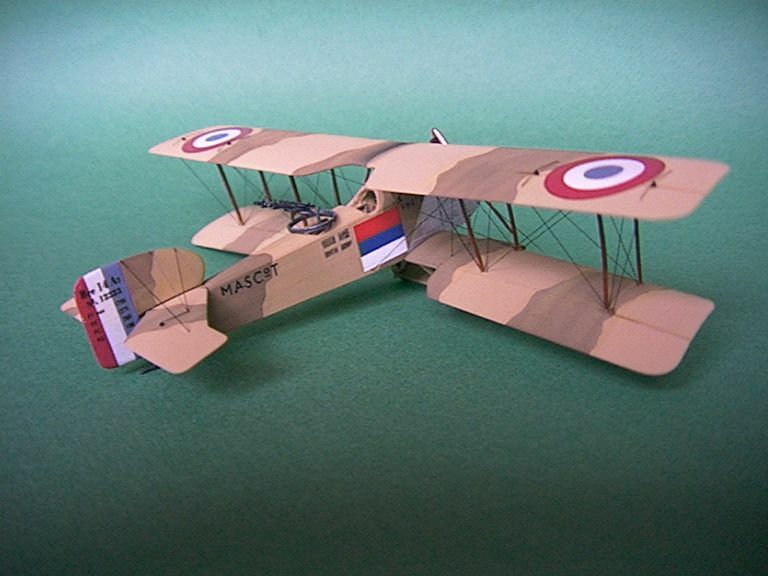 This is a plane with French-Serbian marking from Blue Rider decal sheet (BR402). I completely scratchbuilt the interior of the fuselage (trust me !!!) and added the windows. Paints are Humbrol and Testor metalizer for the aluminium. I used pastel to represent exhaust marks and weathering. Rigging is made with teinted invisible thread. This is the 1/72 Flashback kit, built OOB, very nice kit. I added a M. Digmayer wooden propeller, the rigging is made with invisible thread teinted with a permanent marker. I used Humbrol paints. This is the kit RVHP 1/72. I scratchbuilt the interior, add the push-rod on the engine, the green is from AGAMA paint, the cowl and spinner are painted with ALCLAD 2 polished aluminium. 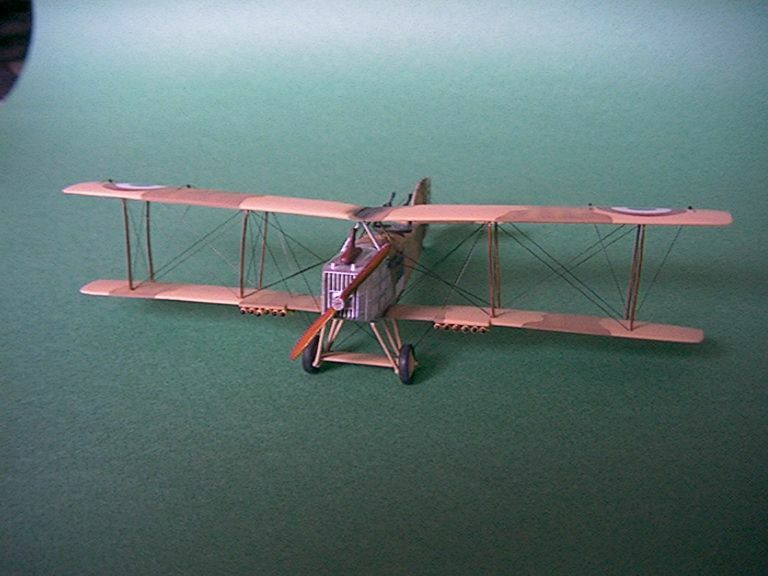 I added a wooden propeller from M. Digmayer. 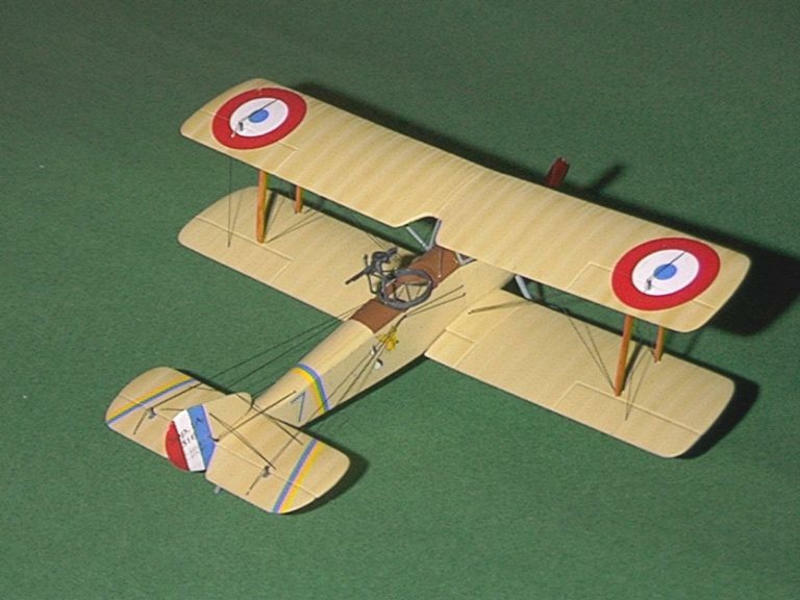 This is the 1/72 AIRKIT resin kit (by mistake named Caudron type G2). The interplane struts are made with Strutz, I added one wooden propeller from M. Digmayer, decals are from Americal Gryphon. I scratchbuilt the cockpit interior. The rigging was done with stained invisible wire between the 2 wings, and with 0.2mm brass wire between tail boom supports. 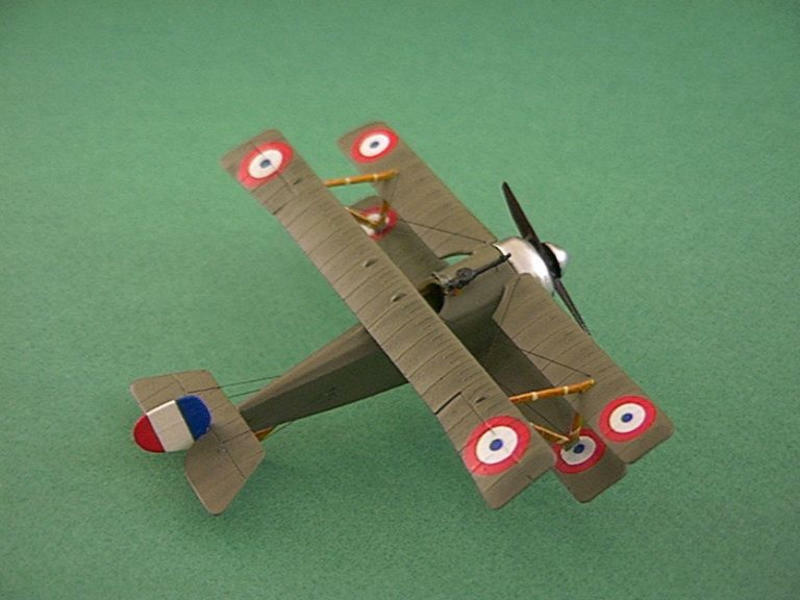 The Nieuport 10 was created in 1914 as a racer plane for the Gordon Bennett race. 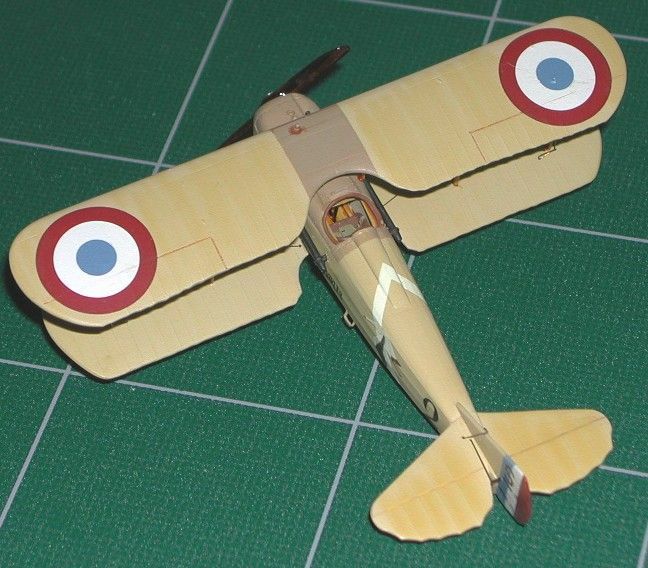 The war outbreak cancelled the race and the Nieuport was converted in 2 seater observation plane. Some of them were also modified in single seater fighter. 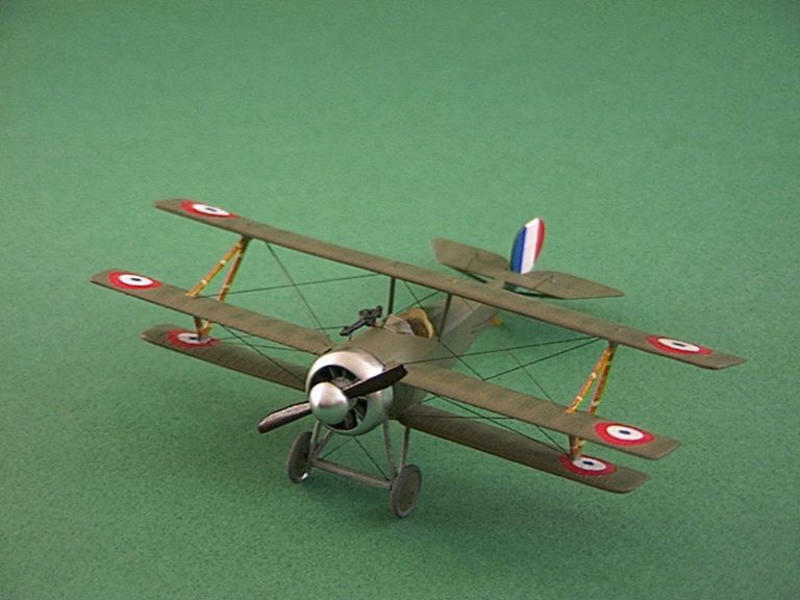 The Nieuport 10 was used by several countries. This kit is one of the new release of HR Models in plastic. This manufacturer was better known for its resin kits. The box contain 1 Polish marking and 3 Japanese. I choose to represent one of the Japanese. The building process is pretty straightforward. The only point which could be improved is the instruction, mainly for the placement of the various elements of the cockpit. There is also a problem with the part which support the pilot's seat, it is too high. You have to cut it down a little bit. The main point that I would like to improve with this plane is my technique for rigging and represent turn-buckles. To do that, I first made several rings from thin metallic wire that I took from TV antenna cable shielding. I put one of them in each place where rigging arrives, in a 0.3mm hole. Once done, I used Smallpart 0.2mm diameter tubing to represent the turnbuckle. It is fun to pass my 0.06mm thread 2 times in the 0.2mm tubes !!! This is a pretty nice kit to build, I plan to build some other of this series with other option and markings. This is the MAC kit, which is quite good. There are some refinement to do at the trailing edge as they are too thick. I used the MisterKit paints, French CDL and French light yellow as well as roundel blue and red. The decals are Americal Gryphon kindly provided by JR BOYE. The rigging is made from fishing line, various size. 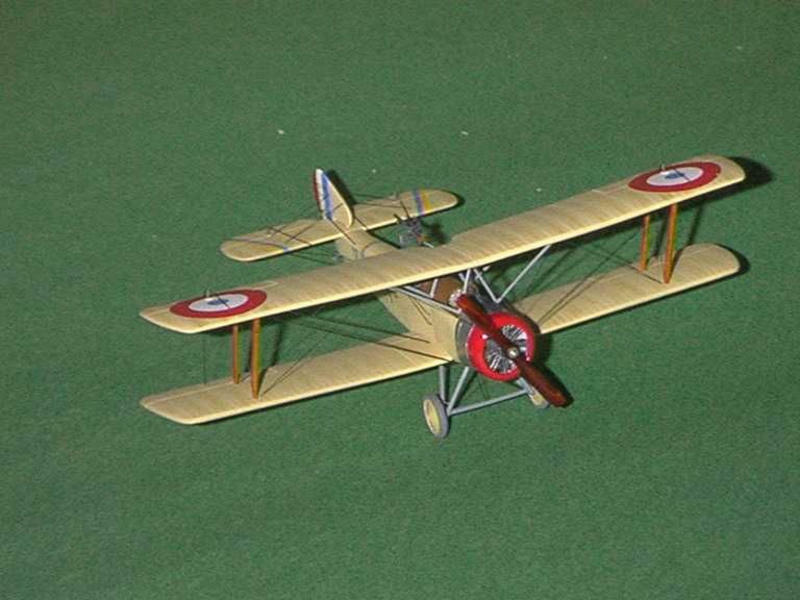 This plane came into service in June 1918. 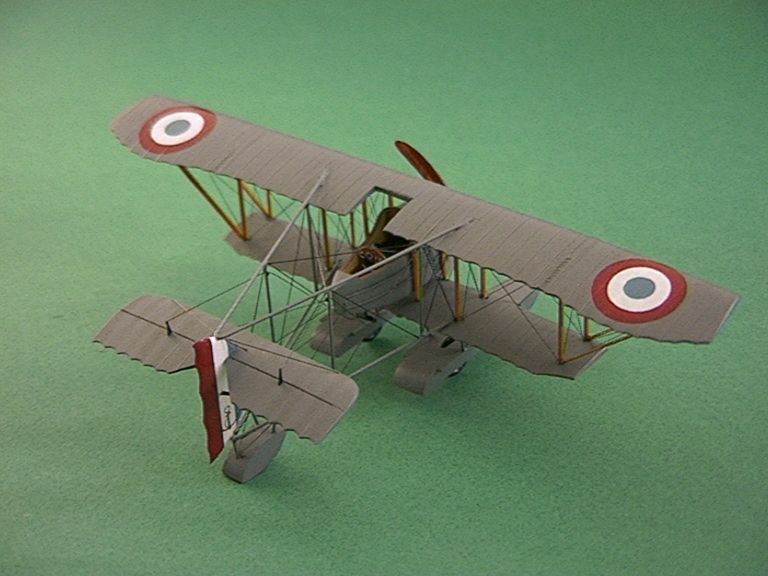 It was probably the best French patrol floatplane of the WW1. It remains in use until 1926. It had a Renault 280hp V12 and is known also as GL40, Levy-Le Pen or Georges-Levy 280hp Renault. The plane depicted was based at the CAM of Lorient (First CAM to receive this plane). This is the DUJIN 1/72 resin kit. There is a lot of work to do to make a pretty decent finished kit. I added the MG, which is not provided in the kit. 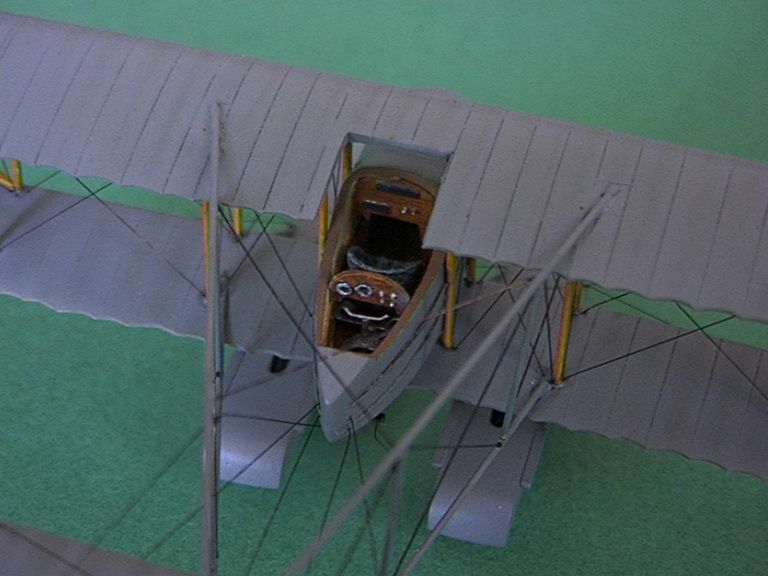 The engine is heavily modified and upgraded, the inside of the fuselage was thinned down and completely scratchbuilt without any documentation, only comparison with other floatplanes and my thought. The control horns come from PART. The whole plane was first painted with "Skull white" from Citadel (spray can, which is very useful to fill some little gaps. Very easy to sand and to have a smooth surface. The paints are from Humbrol for the 2 grey tones and for the black under the fuselage, and from Misterkit for the tail blue and red. The cockades come from Americal Gryphon and the "25" are home made on Carpena decal sheet --> too thick and not very easy to work with. The whole plane is sprayed with Prince August Air semi-gloss varnish. The rigging is mainly made of monofilament, but also of brass rod 0.2mm thick. This is a very nice plane IMO, I tried to give him justice. 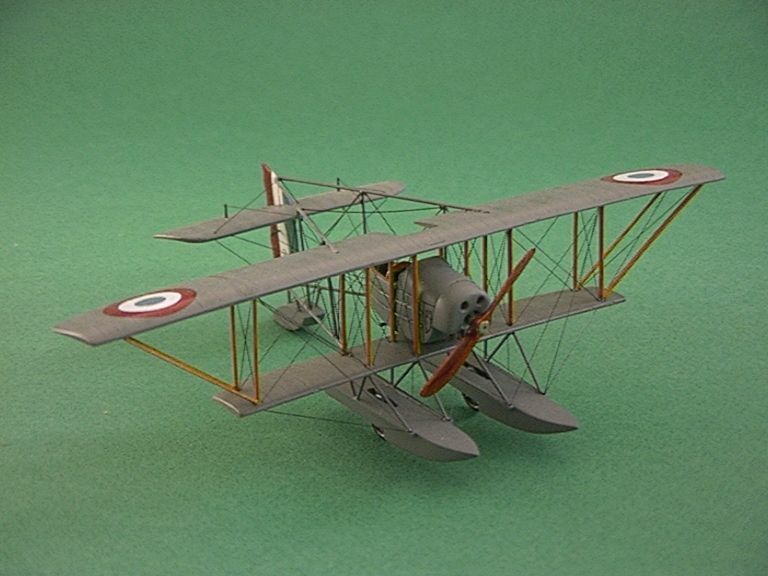 I would like to have more WW1 French floatplane. This is the Eduard Profipack kit. 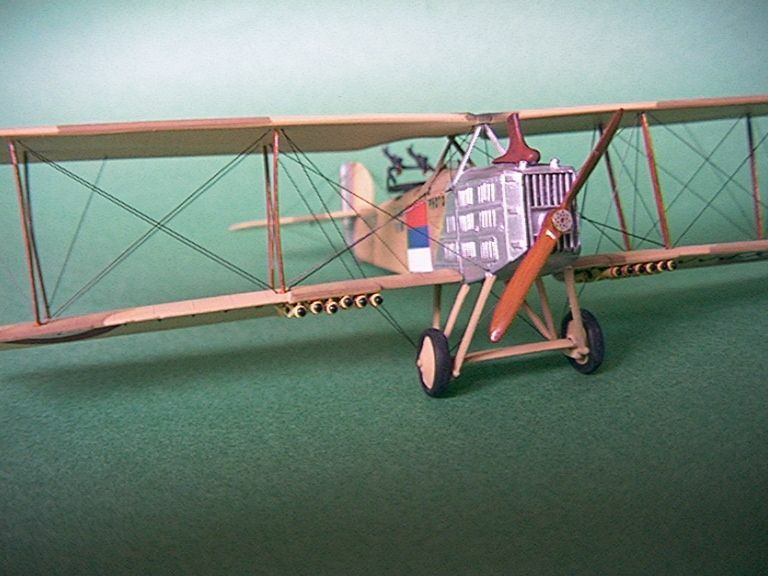 I didn't use much of the PE parts as the Fonck's plane use the plastic parts for the engine side covers. I also didn't use the PE aileron levers, IMO, they look better with the plastic parts. My first intention with this kit, was to test 2 methods of masking for 5 colour camo. The Eduard mask (ref XS564) and the silly putty kindly provided by Warren Dickinson. 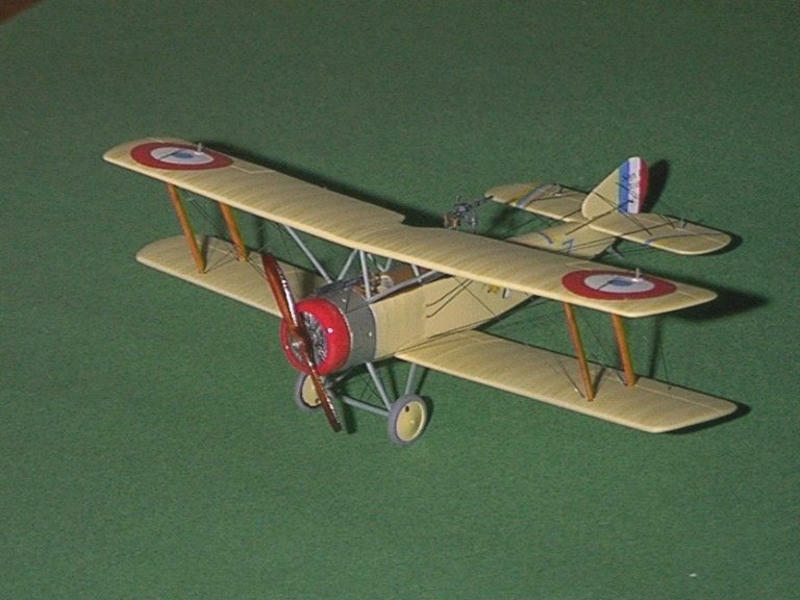 To do this comparison, I built 2 SPAD XIII, this one using Eduard mask and an USA one with Silly Putty (see 'other countries' section). My conclusion is that I obtained better results with Silly Putty, it was easier to work with it, takes better the curves and has the shape that you want to give to it. I started this kit more than 3 years ago. I found it not very easy to deal with at the point that until those days, it stayed untouched for more than 2 years. I learned one essential trick with it, never spray a clear coat diluted with alcohol on the decals !!! The roundels are from Americal Gryphon while the other are from the kit.